Cotswold Archaeology Chief Executive Neil Holbrook said “I am delighted that Cotswold Archaeology and Suffolk Archaeology have merged operations. 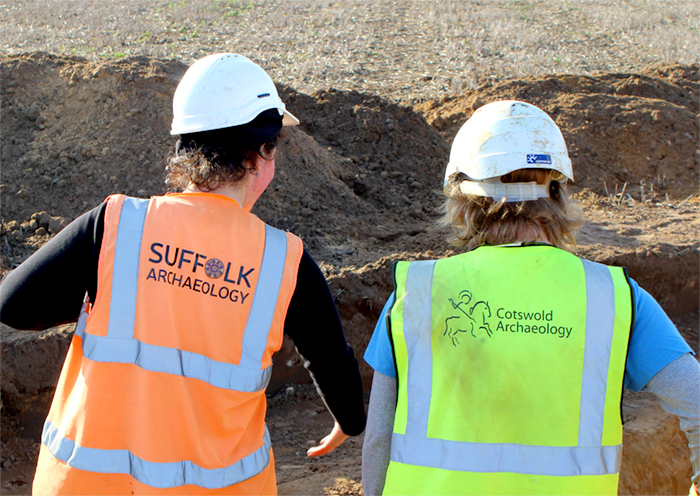 We have enjoyed working with Suffolk over the last few years and have the utmost respect for their unrivalled regional archaeological expertise. Suffolk’s core operating area of Suffolk and surrounding counties is a great match with the territory we currently service from our office in Milton Keynes, so the synergies are obvious. Suffolk Archaeology’s current premises in Needham Market near Ipswich will from today trade as the Suffolk office of Cotswold Archaeology, and I am particularly pleased that their Managing Director Dr Rhodri Gardner will remain office head and join Cotswold’s Senior Management Group. Rhod will be a great asset to us, as will his colleagues who between them have decades of first-hand expert knowledge of the archaeology of East Anglia. We are looking forward to harnessing that expertise for the benefit of our clients, and building on their excellent track record of community engagement and outreach”. Suffolk Archaeology’s Managing Director Rhodri Gardner said “The merger of Suffolk Archaeology and Cotswold Archaeology represents an exciting new development for archaeology in East Anglia. For our employees it will offer increased security and the chance to become a vital part of a larger national organisation with a tremendous reputation for high quality fieldwork and research. For our customers it will very much be “business as usual” in the short term, but we also look forward to being able to grow our regional capacity with the increased investment potential the merger offers. We look forward to working with our Cotswold colleagues in the coming years and using our knowledge and experience to strengthen the business as a whole and provide enhanced capability to all our clients and the local archaeological community”. 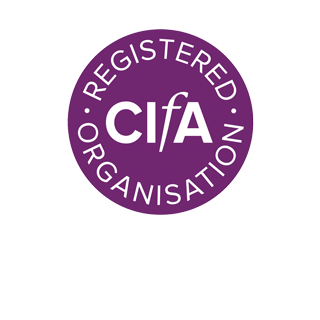 Established in 1989, Cotswold Archaeology is a Top Four supplier of professional heritage services in the UK. Employing over 220 professional staff it provides expert, bespoke solutions for both private and public sector clients nationwide. Cotswold Archaeology has successfully diversified its activities over the last decade, both by increasing the geographic spread of its projects and expanding the range of services which it can provide. To this end it supplemented its original office in Cirencester by opening further offices in Milton Keynes in 2011; Andover in 2012 and Exeter in 2015. In addition to the delivery of project work, these offices act as hubs from which the charity forges links with local stakeholders. Copyright © 2019 Cotswold Archaeology Ltd. All Rights Reserved.